There are corals that require no light at all... like Tubastrea here. Button Polyp Lighting Hi <Hello, Kumarason, MacL here tonight> Your assistance is required once again :) I have a 50 gallon tank. I have several button polyps, yellow polyps, short tentacled Fungia, one open brain and some mushrooms. Initial lighting was 96 W of NO lamps. Changed to a 150 W MH (20K, Iwasaki) and did the acclimatizing process by dropping 4-6 inches (initially from 3 ft from water surface). The process took about 6 weeks. Now its 12 inches from the surface. This was completed about a month back. All my corals are doing fine except for the buttons. They seem to close all the time. I suspected the sudden filament algae bloom was the cause and probably an irritant to the polyps but I have since placed them into my second tank - 30 gallon with 36 W NO output and the polyps seem to open up fine with the algae still on it ( always harvesting). The water parameters of both tanks are as follows: Ammonia - 0 Nitrite -0 Nitrates - less than 20 ppm both tanks pH - 8.2-8.4 Salinity - 1.022-1.023 Calcium - between 400-440 both tanks dKH : 9 for 50 gallon and 11 for 30 gallon Phosphates : Non organic - not traceable. Organic - probably high I think as algae seems to be growing and growing. ( I think kits test non organic- am I right) <Depends on the kit> Could it be that the MH is too intense? I have place one of the buttons further away from the MH lamp to determine this. What is your opinion. <Its possible that that is the case. It could also be the current. Probably differs in both tanks.> Thanks for your time and assistance. much appreciated. Metal Halides for SPS - 3/22/04 Dear Crew: Thanks again for the great website. <Thanks for being part of it all> I have read your FAQ's and articles about MH lighting with great interest. <Glad to hear. 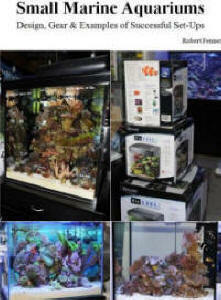 Helped me too> Here is my situation: I currently have a 55gal (48x13x20) tank w/130W PC's. <OK> I am going to get a bigger tank this year, probably a 125 (72x18x22). I would like to keep some clams & SPS, so I am looking at MH. <I think a good choice> Also, I believe HQI DE bulbs and fixtures will give me the best for my money. <Many thoughts here but I use the HQI ballasts and DE bulbs> Now, according to Bob's response in one case, with "some" clams and SPS, I should be able to go with 175W lamps. However, I have only seen HQI in 150W and 250W flavors. <Correct. Go with the 250> The difference in price is about $20, so it would seem wise to get the 250W. <Exactly> However, I do not wish to have the extra light if I do not need it. <Yes you do> I could probably go with 2-150W lamps for the 55 now, and get an extra one when I get the 150gal. <That will work> I thought about 2-150's and then the one 250 later, but I am not sure how I would feel about the spotlight effect (I assume there will be one). <Not really. At the Monterey Bay Aquarium we have 400s and 1000s and notice very little difference> Before I forget; I know some of you don't like to say, but which would you pick of the 2 choices I have for either 150W or 250W: 1) PFO HQI ballast, 10K DE HQI Bulb (brand not specified - email pending to vendor) and PFO HQI Mini Pendant <This is what I use and love it! !>*OR* 2) IceCap Electronic HQI Ballast, Ushio or Aqualine (AB) 10K DE HQI Bulb <Both great bulbs but I use the Aqualine HQI bulb> and Sunlight Supply Reef Optix III Plus Horizontal Reflector. <Good reflector but I am really happy with my PFO. We use PFO on occasion at the Aquarium as well. Quality and Value in my experience. Happy reefing! ~Paul> About choice #2, I have seen some vendors insist that the Sunlight Supply Reflector must run with Blue Wave Ballast. If this is true, what makes the IceCap okay in this case? Is there some sort of overdriving or trickery going on here? Hey, thanks a million, Rich. Lighting Upgrade for Corals (12/10/2003) Steve, Thanks. <You're welcome> I will check out Scott's water change regimen. I will also do a water change to try to lower the dKH slowly. The tank is 75 gallons. I only plan on having hardy corals such as leathers, mushrooms, polyps and hardy LPS. Nothing like Acropora or anything like that. Will the 48" 4x65 CSL PC w/Moon-lite be adequate for my needs? <Should be. 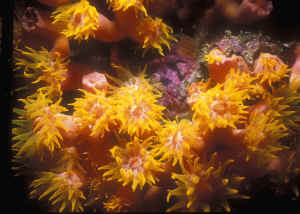 Always research the needs of any particular coral you wish to acquire before purchasing. Until Bob and Anthony finish NMA Corals (2005), Eric Borneman's "Aquarium Corals" is probably the best resource. 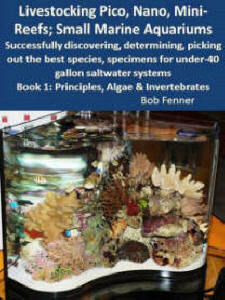 I also like "Reef Secrets," by Nilsen & Foss?for a brief overview. Be sure to acclimate corals to the new lighting to avoid shocking them. Check here: http://www.wetwebmedia.com/acclimcoralslight.htm > Will the Moonlite help with corals/ coralline algae, or is it just for viewing pleasure? <Primarily the latter, but may have some physiologic benefits to the animals. The jury's still out.> Right now all I have for lighting is an All-Glass double tube NO fluorescent strip light with a 10,000k bulb and an actinic bulb. I know its not much. <Fine for FOWLR.> I have my toadstool leather right near the top middle of the tank and it looks gorgeous. <May need to move it down a bit with the new lights.> My mushrooms also extend nicely. The polyps I have actually grew on the live rock. They started as two separate polyps. <Do be aware of zoanthids potential toxicity to you if not handled properly. Search WWM for info.> Now one section has three polyps and the other section has two polyps and another small bud... all under NO lights! <Sounds nice!> One thing I don't have a lot of is coralline algae. I do have large sections on my live rock, but I don't get new spots anywhere??? <Many people don't want spots on their glass or equipment anyway.> Will new lights help with this? <Probably, but do keep nutrients under control to avoid an ugly bloom of nuisance algae.> Thanks much, I really appreciate it. 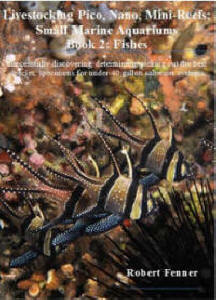 <my pleasure> Daryl Lighting Hi WWM Crew, I recently received my copy of "Reef Invertebrates" By far the best, most comprehensive (understandable) marine resource I have read! My question today is the ever controversial subject of lighting. I am setting up a 75 gal reef and would like to keep just about anything, including SPS and clams. I need help is deciding between a 4 x 96 PC system or a 2 x 175 MH (10K) with 2 x 96 PC (03) Do I need the MH's? <if you want to keep colorful SPS, yes. clams also should be kept under halides. (really depends on what kind of corals you want.) > Are just the 4 PC's enough? <you will be able to keep some SPS and some clams under PC.s but they will be mostly be brown or turn brown, without intense lighting> In the long run is it worth the extra $300 for the MH combo? <yes> I would like to do it right the first time, rather than should have, would of could of. <Spend the extra money now, you will thank me later MikeH> Your advice is much appreciated. Thank you.